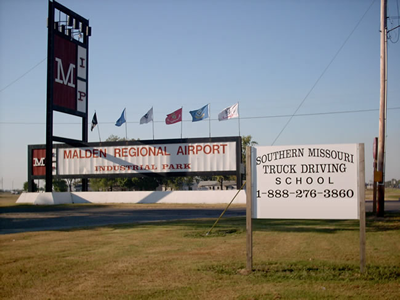 The curriculum at Southern Missouri Truck Driving School includes both classroom and hands-on training behind the wheel of a tractor trailer. Upon graduation, students will know the language and the law of truck driving and will have the skills to become a professional driver. SMTDS instructors are qualified and experienced in the transportation industry. In the classroom, there are never more than eight students per class and 2 students in our Scott City class. When training advances to actual driving on the highway, the student-to-instructor ratio changes to two-to-one. Students will have received actual behind-the-wheel instruction and practice at our facilities prior to highway driving. This course design is four (4) weeks, five (5) days per week. Each student can expect at least 44 hours behind the wheel driving time during range, street and over-the-road training. 1st week - 8 a.m. to 5 p.m.
2nd week - 7 a.m. to 4 p.m.
3rd week - 3 p.m. to 12 a.m.
4th week - Monday-Wednesday, 1:30 p.m. to 12 a.m. - Thursday-Friday, 8 a.m. to 5 p.m.
Week two at SMTDS includes hands-on training in our off-road facilities. With approximately five acres of backing area, there is plenty of room for all five of our trucks to maneuver (two students per truck). Students will learn inspection, coupling and uncoupling, backing and shifting. In week three & four students will be driving on interstate, highways, U.S. and state highways. Some narrow roads will also be used for training so students will be prepared for various terrain and traffic situations. Students can expect at least 44 hours of behind-the-wheel training during range, street and over-the-road phases. A sack lunch or money to buy your lunch. A break will be given for lunch whether in class or on the road. Transportation to and from school is your responsibility. **Please ask if there are any other items you may need while attending SMTDS. SMTDS can give you the training and skill to enter the rewarding and well-paying career of a professional tractor trailer driver. Learn more about our requirements and tuition. For more information, call us (toll free) at 1-888-276-3860 or contact us online . We can answer any questions you might have or we would be pleased to arrange a tour of our facilities. This course design is ten (10) days. eighty (80) hour course. To be qualified for this course a person must have two (2) verifiable years of tractor trailer driving experience. The majority of homework is done at home, and it will be expected to be turned in daily. The instructor will review this homework with the students to be certain each one understands the chapter. Additional Costs: All separate, required fees for this course are the same as for the full four (4) week course. Southern Missouri Truck Driving School is an equal opportunity employer/program. Auxiliary aids and services are available upon request to individuals with disabilities. Missouri Relay Services at 711.